As anyone who has seen Deadpool 2 (or who has already had the gags in Deadpool 2 spoiled for them by the internet) knows, a number of famous people show up in unexpected roles. 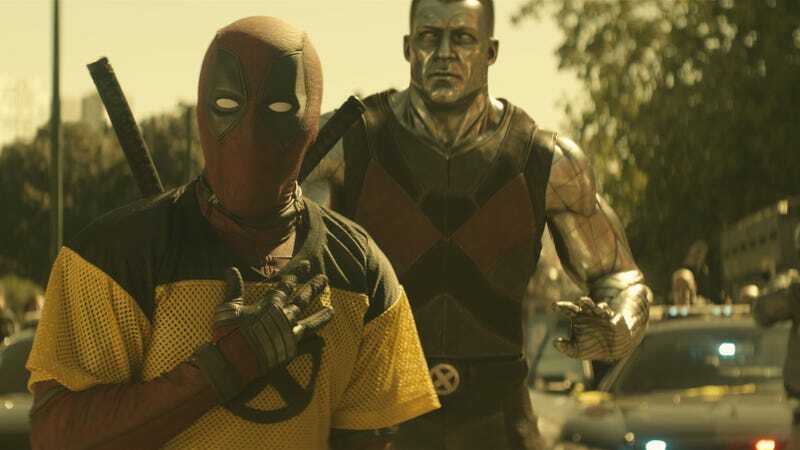 For example, Ryan Reynolds pops up in the credits as himself and Brad Pitt appears in a gag as invisible mutant Vanisher for just a couple of seconds, but one of the big-name celebrity cameos was apparently so secret that most of the Deadpool 2 cast and crew didn’t even realize it was happening. The celebrity making that particular cameo was Matt Damon, who secretly popped up in the movie as a redneck alongside Alan Tudyk under a heavy layer of prosthetics. Collider sat down with director David Leitch to talk about these cameos, and he says the Damon one came from him and Reynolds being good friends outside of the movie business. Apparently, they were having dinner together and Reynolds told Damon about the idea of hiding a big-name celebrity in that particular scene. Damon was really into it, so he got on board. Leitch says Damon was in the makeup chair for three hours, and even though there were people on the crew who had worked with Damon on other movies and should’ve been able to recognize him, Leitch says nobody was able to put it together. He notes that some of the crew were even confused as to why they were spending so much time on a scene involving two random redneck characters. As for Pitt, he was reportedly involved in early talks to play Cable—Josh Brolin’s role in the film—and when it didn’t work out he told the filmmakers to give him a call if there was anything else he could do. Reynolds then pitched the invisible guy gag, telling Collider that he wanted to think of “the most wasteful way to use the biggest movie star in the world.” He says that Pitt was on set for “about seven minutes,” and he accepted a cup of coffee as part of his payment.